Wedding giorno. George, Pattie, his parents and Pattie's mom on George and Pattie's wedding day.. Wallpaper and background images in the George Harrison club tagged: george harrison pattie boyd. 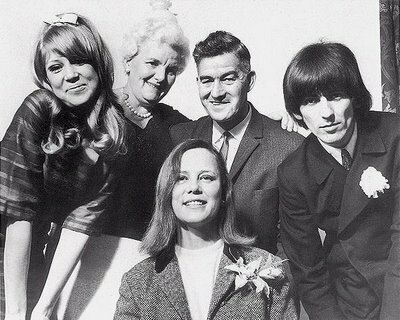 George, Pattie, his parents and Pattie's mom on George and Pattie's wedding day.